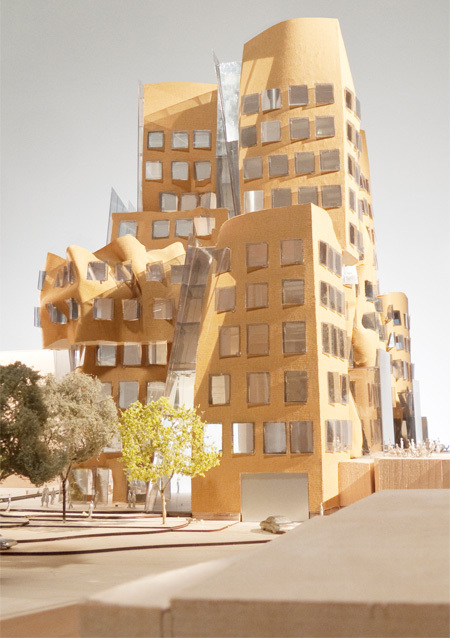 Dr Chau Chak Wing Building designed by famous architect Frank Gehry. Eleven storey building will provide teaching, learning, research and office accommodation for the UTS Business School in Sydney, Australia. 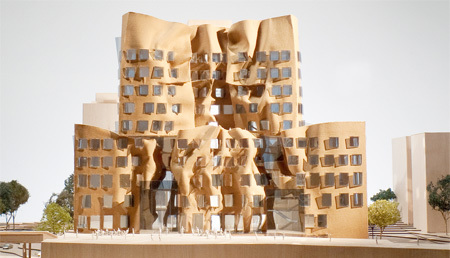 Frank Gehry imagined a building that was a cluster of tree houses, or vertical stacks of office floors with spatial “cracks” in between. The structure will have two unique facades, one composed of undulating brick, and the other will feature angled sheets of glass. 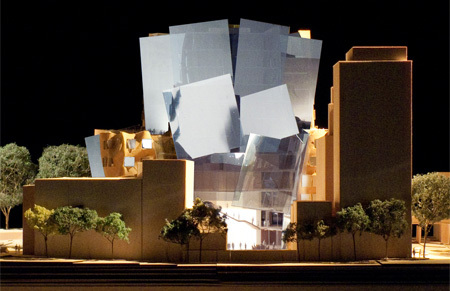 $150 million construction will start in 2012, photos by Gehry Partners. It looks like it’s crumbling. Maybe a famous guy, but quite weird.. This looks like they made a model out of chocolate, then left it out in the sun to melt! Not a visually appealing, boundary-pushing, or stimulating work/learning environment in my opinion. Would have to be there in real life to have any hope of changing my opinion. It looks like indulgence for indulgence’s sake to me. Have any of you that don’t like it considered the impact of seeing this building along a street filled with industrialist sky scrapers and other token stylistic choices of Capitalism, the giant phallic monoliths of power? It is a literal break and departure from not only that early 20th century style but also from the mentality that we must represent power in our architecture. @Blorgh – SEE SOMEONE SEES THE POINT IN THIS! – ITS A CONCEPT! Totally agree with Blorgh this will be a landmark building for the nation to be proud of. It makes me want to learn more about the technical problems that it has to resolve to make it possible. looks like some sort of heat bomb hit a rather boring building.Technically impressive it may be , but does not illicit joy or wonder, more like decay and destruction. Looks like crumpled paper bags to me. I understand the effect it SHOULD have, but the problem is that is doesn’t. We see designs here are that are subtle, understated, technically amazing, or whatever; but they still push the limits. This extraordinarily ordinary, somehow. It’s different, sure, but I don’t feel like something new has been done, or some giant stride to the future has been made. Kudos to him for designing a building, that’s something I’ll never do. Consider this, though. Salvador Dali will often be considered “messy”, “plain” or “ugly” by a normal person. But after a few moments, the piece absolutely speaks to anyone who views it. Someway, somehow. I am no expert, that is for sure. And this doesn’t speak to me, but that doesn’t mean it speaks to no one. As an artist, it only needs to reach one person, and that’s you. So, keep it up, make buildings and even if you reach no one but yourself, you win. Good job. I fail to see the ‘tree house’aspect of this building. I don’t like it, I agree that it looks ‘squashed’. I understand that it is a concept and what it tries to represent, but sadly, I think it has failed. Looks like an earthquake already hit it. I’d be pretty inspired not to hang out in there if for no other reason as it doesn’t look the least bit structurally safe. Frankly, this is just ugly, not innovative. I’d rather have some flat facade building with no interest at all than this monstrosity. Architecture is a means of civic engagement. Even if you hate it, youre still talking about it. Passions have been aroused. Isnt that the mark of something important? 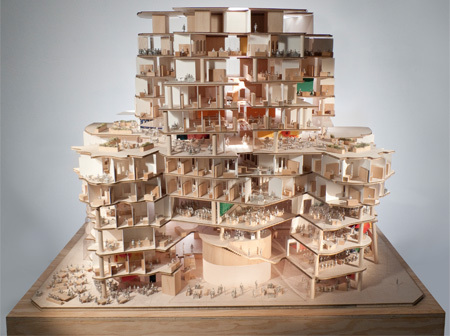 I like Gehry’s work but this one just created a vortex in my eyes. I’d probably get distracted driving by it and eventually end up in some hospital. Still, I like seeing these peculiar creations of his. 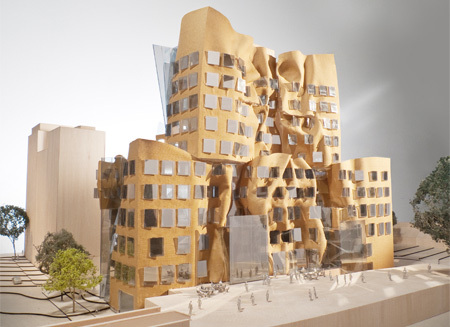 Judging by all the comments above, Gehry has succeeded in making his point once again! I don’t think any of these people are whining. They are expressing their opinions about this horrifying design that I would just about puke upon if I saw it constructed. It looks hideous. In this case I would like to ask you: what is more important – making a strong design statement or making a building look ‘pretty’?